By Angelina Cheung | 16:55 請按廣告以支持本站! 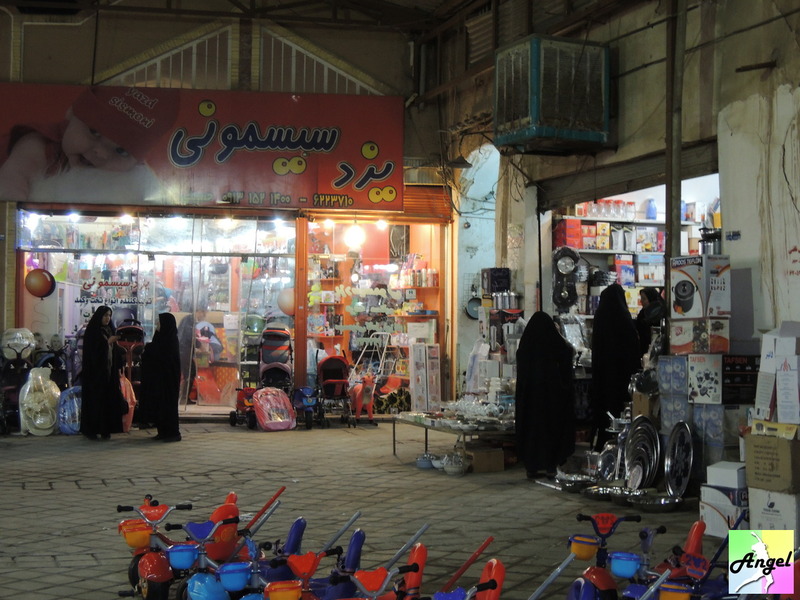 This chapter I will briefly state the price and the information about clothing, food, living and transportation of Iran. So you can know how much you need to spend in each aspect. I believe most of you know that women tourists need to have their scarf on when entering Iran. Shirt shall cover the buttocks. I saw over 90% of the tourists have their shirts/jackets covered the buttocks. Originally I did not bring those clothes with me. While searching online for Iran woman, I found that all the clothes they wear can cover the buttocks. Lastly, I brought those with me into Iran. Some mosques request you to take off you shoes and cover with chador, just do what they tell you. Most of the women have their chador from the head to the feet. You cannot know who is who from the back. Here you can eat cheap, but if you go to some famouse tea houses, the price will be moe expensive. Seemed it is hard to find rice to eat here, most of the shops are selling either hot dogs or kebab. The cheapest rice that I had was 40,000 rial, without meat. 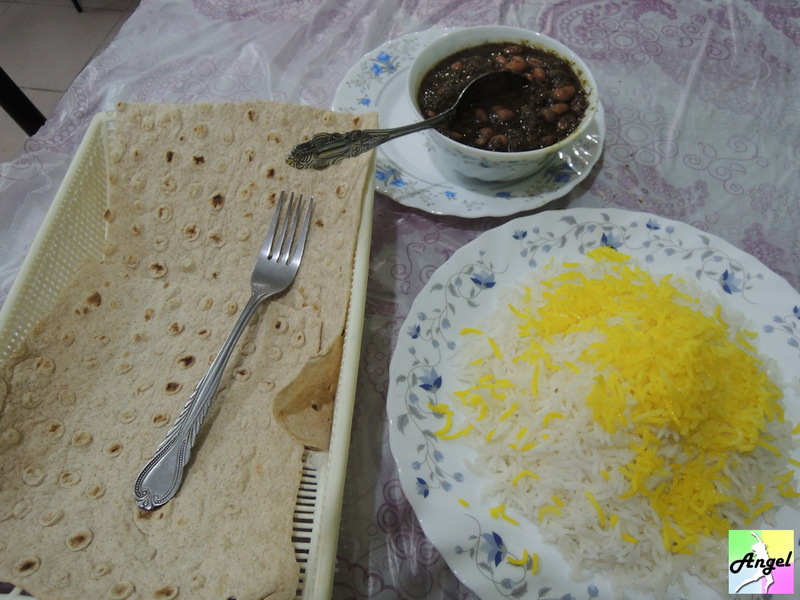 With rice and kebab the price is usually 75,000 – 90,000 rial. They usually add saffron and barberry into the rice. With barberry the rice is delicious. Ate this in a famous teahouse. The rice priced 90,000 rial with kebab. But it looked good! The price is around 30,000 rial. Some hot dogs are really long and I could eat it for two meals, those will be more expensive like 60,000. Depends on the kebab is meat or vege. 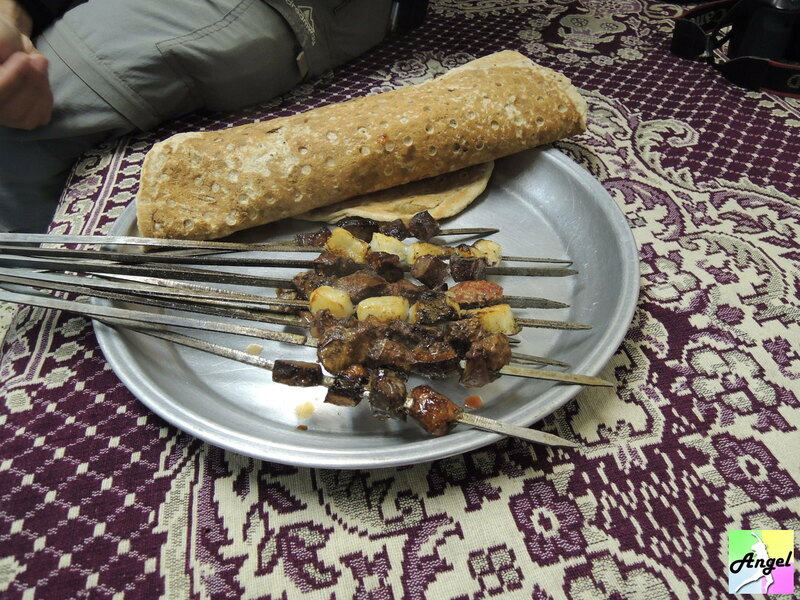 Tomatoes kebab 10,000-20,000 rial, meat kebab 20,000-60,000 rial, may vary as some can be small pieces of meat while some can be big one like drumstick. The bread (nan) is free of charge. Want to have some special dishes? Here they are. 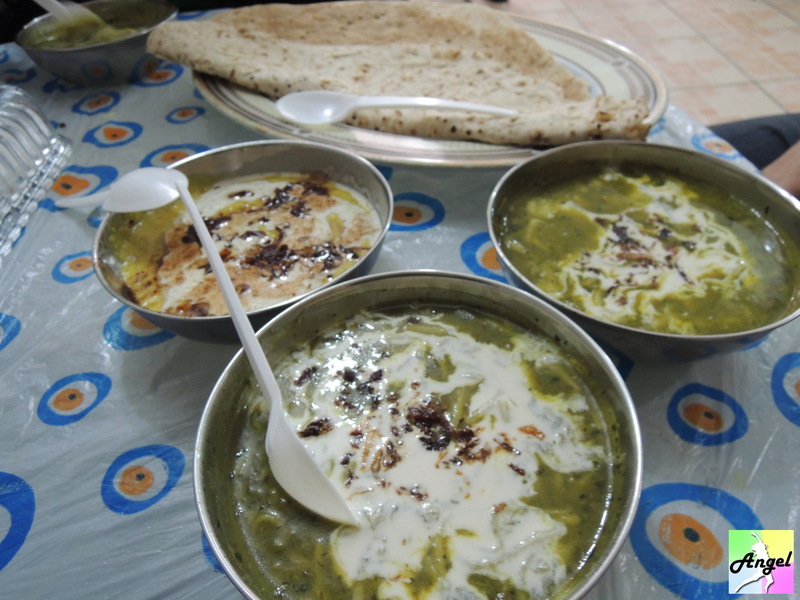 The green one is Ash e Mast which consisted of chickpea, different spices and vege, white thing is yogurt. The yellow one is halim bademjan which consisted of eggplant and turmeric. This is a dish with beans, potatoes, meat, tomatoes smashing together and adds bread into it. The soup makes the bread swollen so that you will get full easily. This dish has a story that it was given to the poor people. First pour the soup and the ingredients into the pot and smashing all the stuffs using the muddler, then pour the soup into the bowl, tear the nan into little pieces and put them into the soup. It can really make you feel full easily. People like to drink tea at home, their equipments are all beautiful, including the glass, plate, spoon. They like to put sugar cube or saffron sugar into the tea. 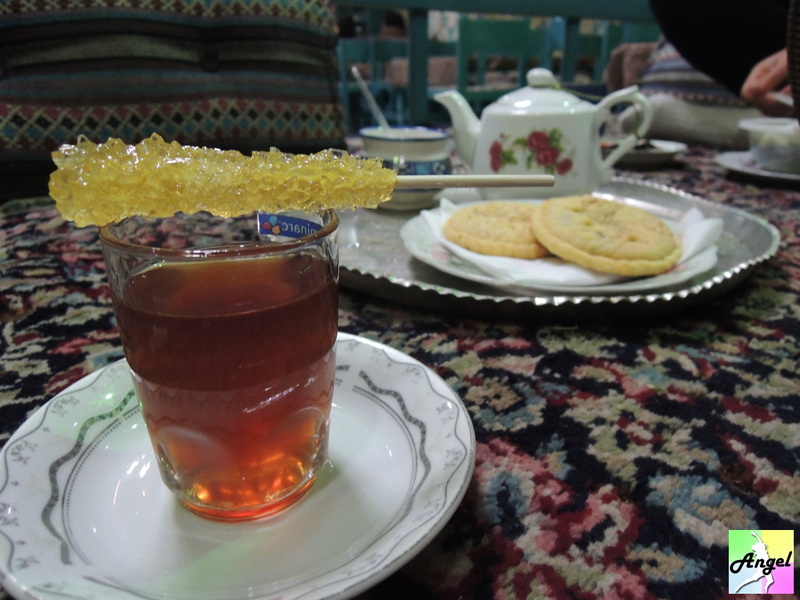 Traditional tea will put the saffron sugar stick into the tea, very impressive idea. 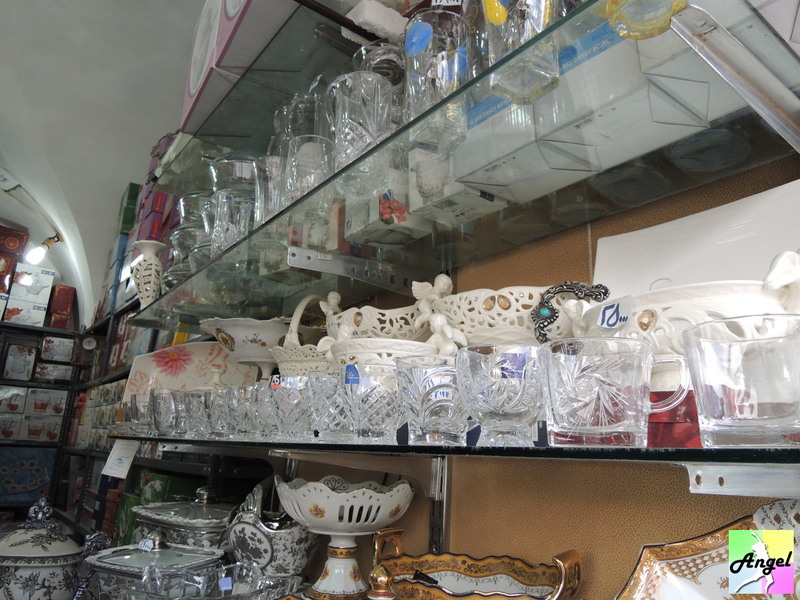 In bazaar you can see a lots of beautiful glasses. Mostly are made in Japan, I will buy them next time in Japan. 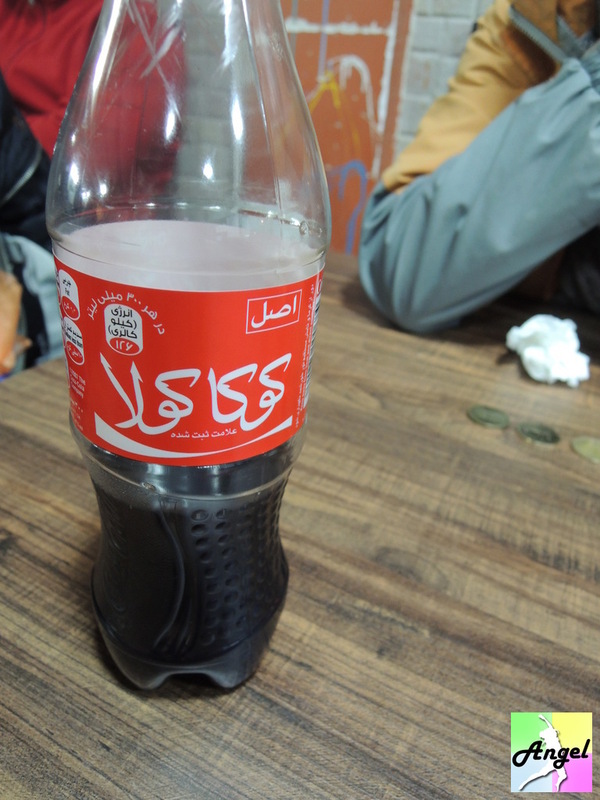 Soft drink is cheap here, there is fake coca cola, small one costs 8,000-10,000 rial. Famous drink doogh, I think it tastes awful, salted yogurt, you can buy a small one for tasting, costing 10,000-15,000 rial. 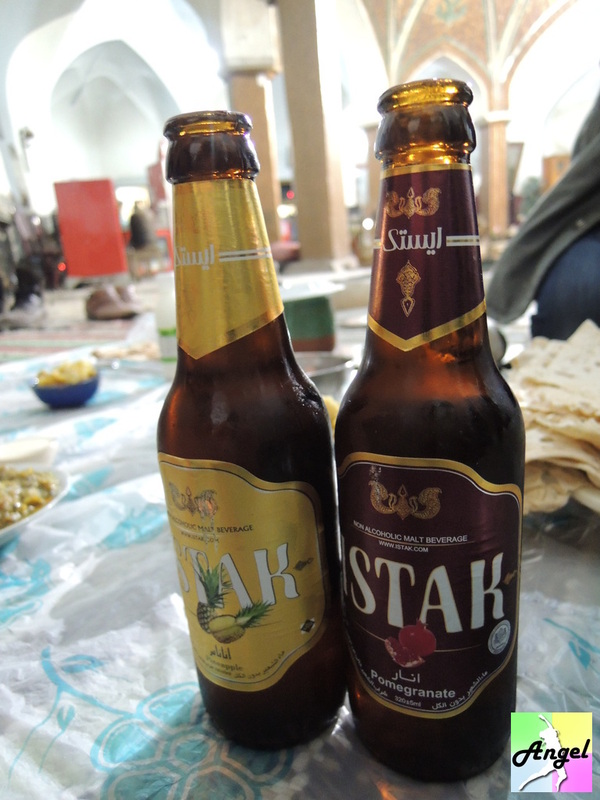 Iran prohibits alcoholic drinks, so they have non-alcoholic beer. It is very popular here, they have different flavors. 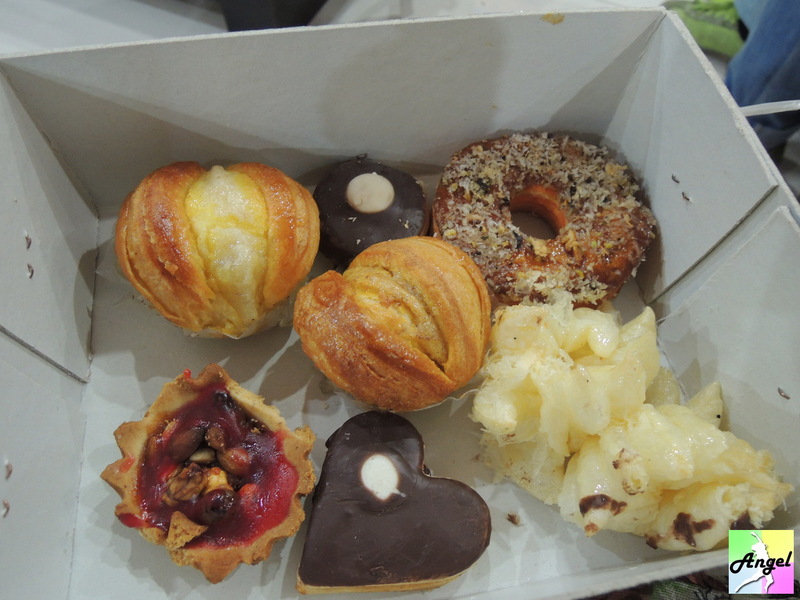 They have different brands too, delicious~ costing 10,000-15,000 rial. Very cheap, usually locals will buy 1, 2 kg together with the same type. But as a tourist of course I want to try each of them and just some of them. It costs around only 4,000 rial each. Sometimes if you buy only one they don’t want you to pay, as the weight is so light that they don’t know how to weigh. 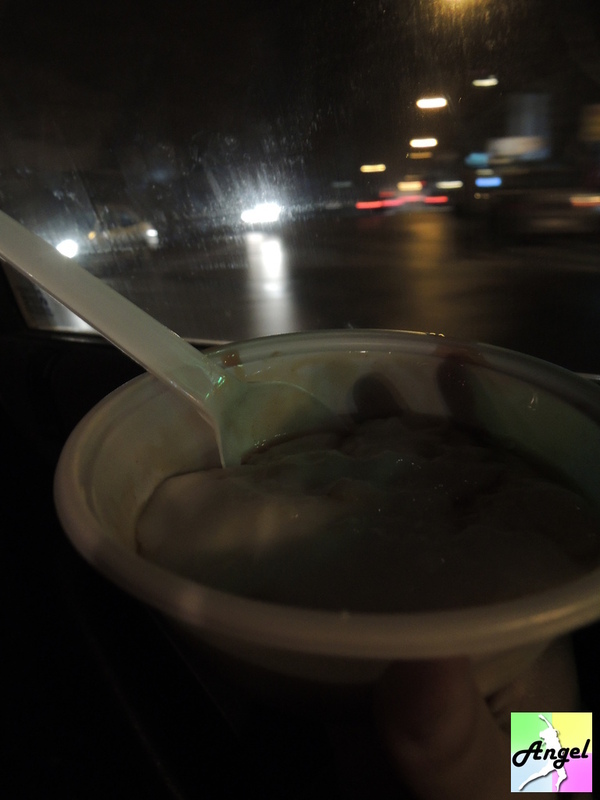 Rice pudding, super delicious! 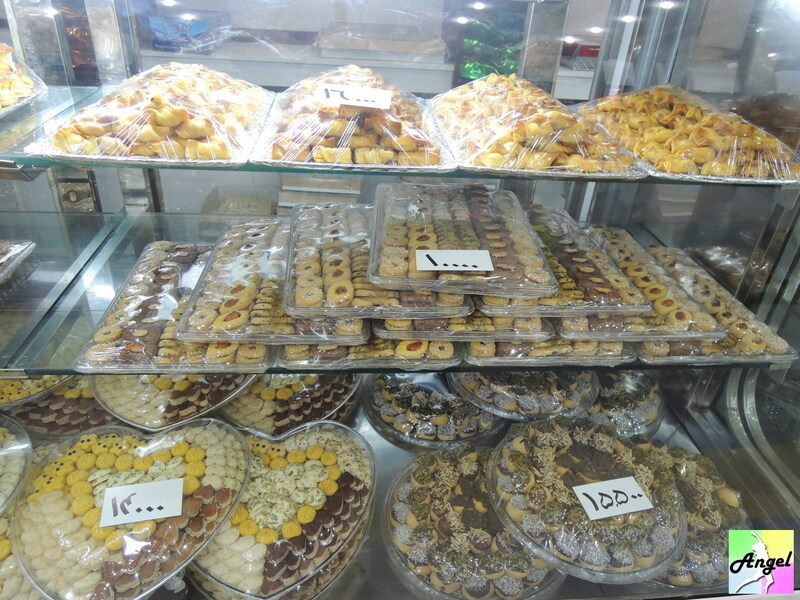 I will say you must try it in Isfahan. Like the texture of tofu (Chinese food, made of yellow beans) with heavy taste of milk, together with the syrup. Ice cream in summer, the texture ice cream rice noodle are a little bit hard. 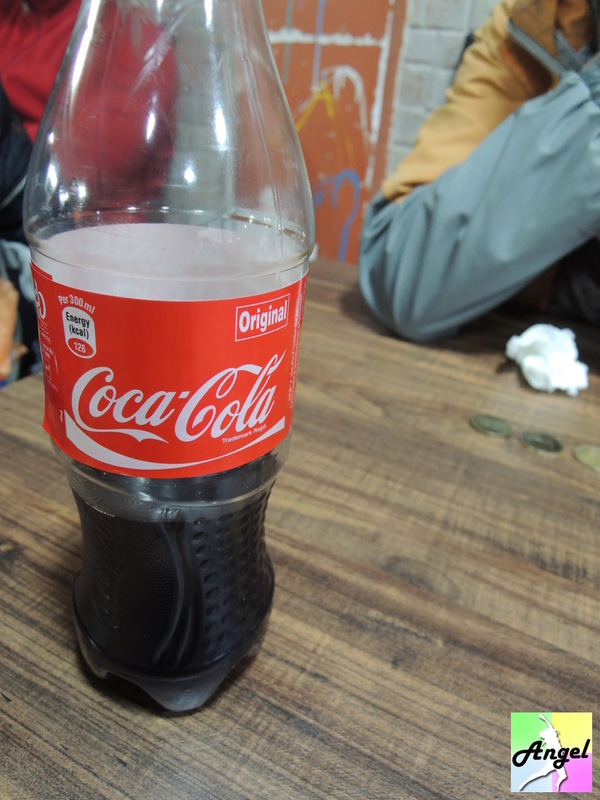 With the sugar water, I think it is too sweet. You can have a try though. 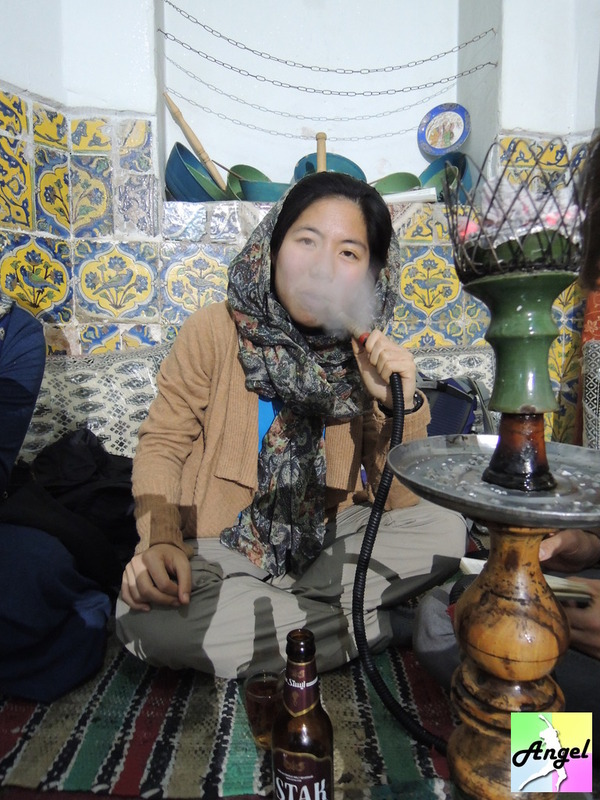 The teahouse here is common to have shisha. Listening to the live traditional music while shishaing, Persian people do know how to enjoy their live. I tried it twice in Iran. 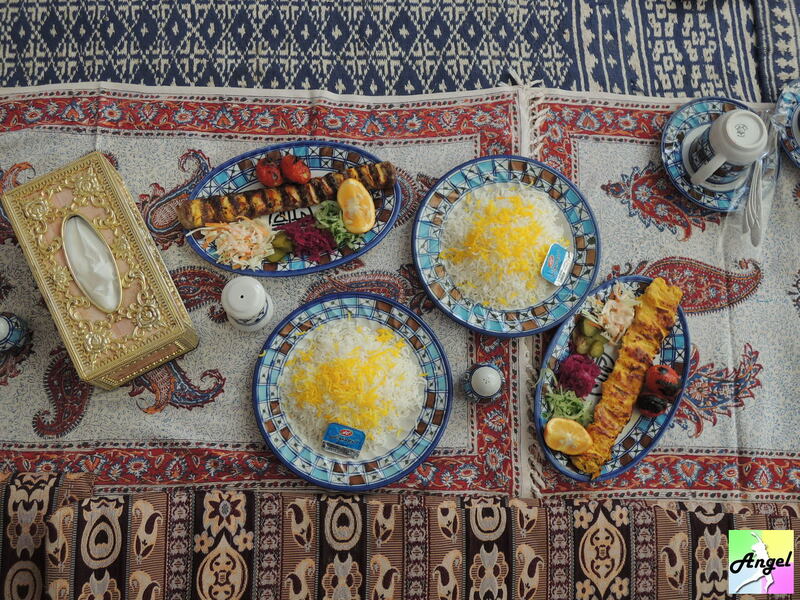 For other special Persian food, please see other chapters that describing each city. I have been couchsurfing in 4 cities (Kerman, Kashan, Tehran, Shiraz), so I don’t know much about the prices for these cities. But probably it shall be similar prices as other cities. As it is low season, living in either hostels or hotels is not expensive. So as called hotel, they only have basic stuffs in the room. Usually you need to pay extra if you want to have shower, around 50,000 rial. 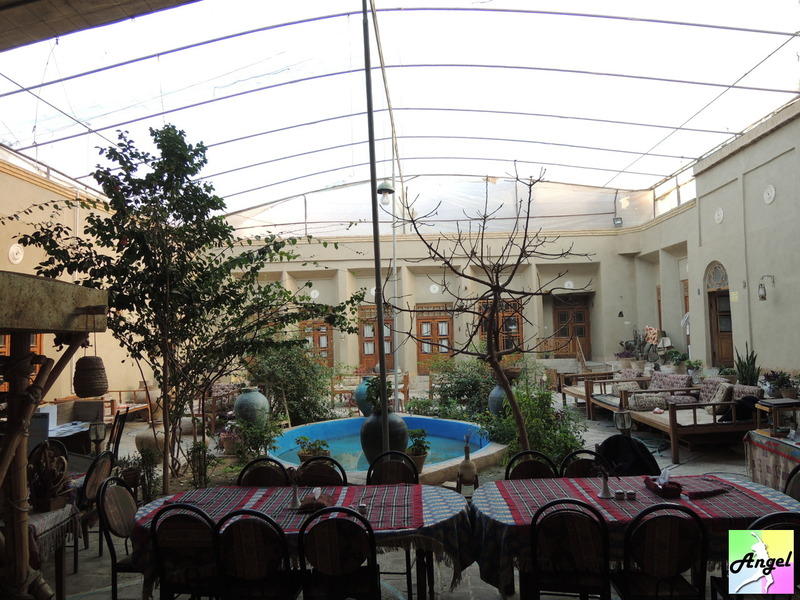 This is Silk Road Hotel in Yazd, it is recommended in Lonely Planet. 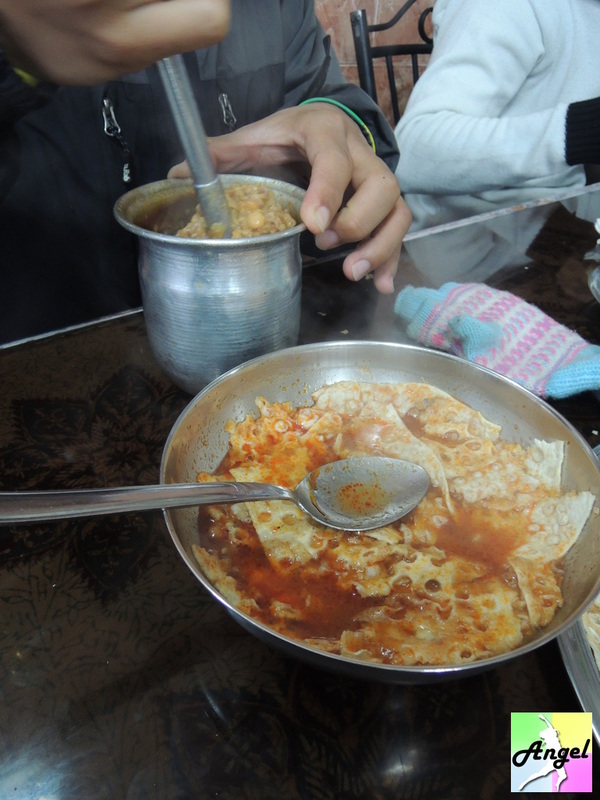 While I was there it only costs 150,000 rial for a 6-8 people dormitory, with really good breakfast buffet. Local bus is cheap (~2,000 rial), metro is cheap (Only Tehran available, same price of 3,500 rial even if you take one stop or till to the last stop), taxi is cheap compared to other countries, share taxi is just like bus, so it is very cheap also (depending on how long it is travelling, share taxi can be available town-town, while some are just short distance like reaching big bus station). Usually the big bus station is not in centre of the city and is around 5-6km away. 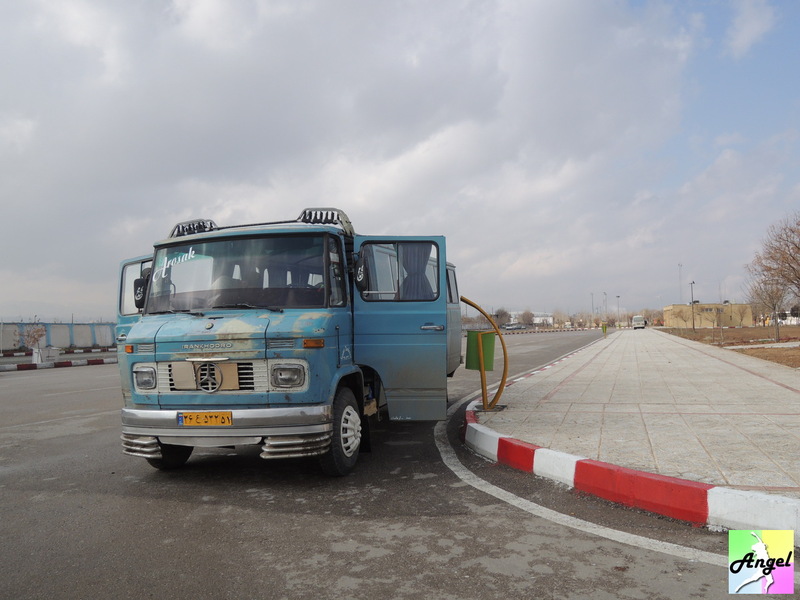 Local bus usually does not pass through there, here you can take the share taxi, usually only 5,000 rial per person. If you want to take share taxi, don’t hail on street. You need to find some roundabouts or taxi waiting for people as at there they are accumulating people to go to the destination. You need to be at the right place and right direction. For example, the big bus station you want to go is in south. So you need to find the taxis which are waiting at south direction and ask. ‘Dar baste’ means close door, so ‘Nah dar baste’ means not close door, in other word, share. They will ask you where you want to go as you are tourists. If you see him drive straightaway meaning it is a private taxi and you will need to pay 4 times of a normal share taxi you need to pay for. The sitting arrangement of local bus is front men and end women. If you are woman, even if you want to pay, you need to get out from the central door and go to the \ front and give money to the driver. The picture’s bus is bus number 220. For metro, head and end of the carts are for women, the other carts are for men or family. If you are a woman and travel alone, don’t go to those central carts. And there is another type of bus like chicken bus. Good to travel for town-town, price is cheap too. Traveling to another long distance city, you can choose bus, train or plane. Many tourists will travel from Tehran to Shiraz by plane, and then travel from there back to Tehran and fly back to their home country. Train is more expensive than bus (just a little bit) and takes longer (1-2 hour longer), but train is more popular than bus. I asked a female student and she said train is more safe. I don’t know what the definition of safety is. But train is good, you can sleep on the bed. Each cart there are 6 cushion boards. It can easily be transformed into 6 beds, with pillows provided. The staff will separate men from women, so you don’t need to be scared. 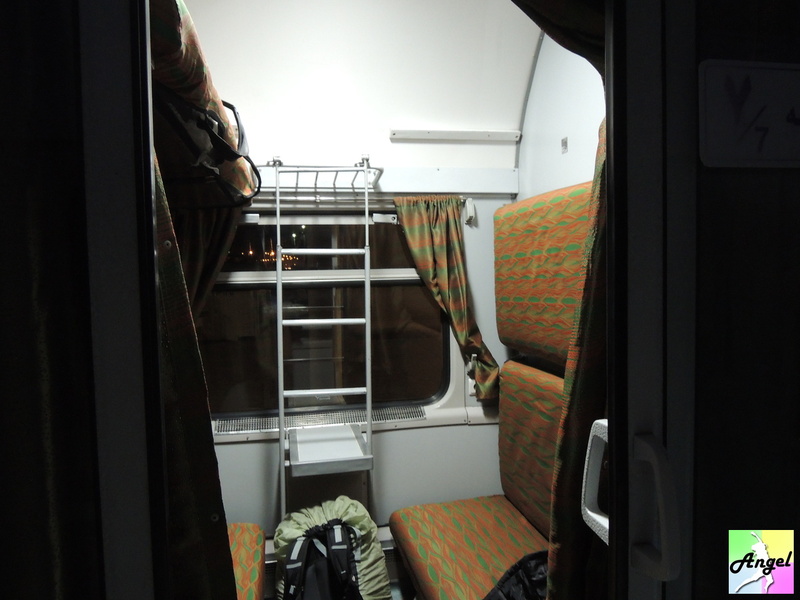 Inside view of the train, you can see 3 orange boards on each side. When it is at night, people can make them horizontal and become beds, very good design. The most unexpected is that train station has wifi! But it only is for some cities. 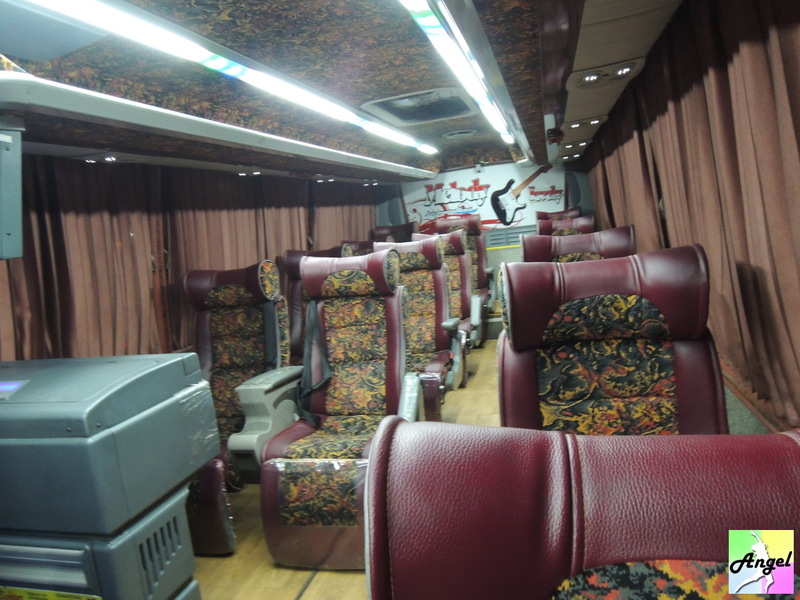 Long distance bus is cheap, they have VIP and normal bus. The seating of VIP will be more comfortable, the departure time for VIP and normal bus is different. They will sell VIP to you when they know you are tourists. Just ask if you are not sure. 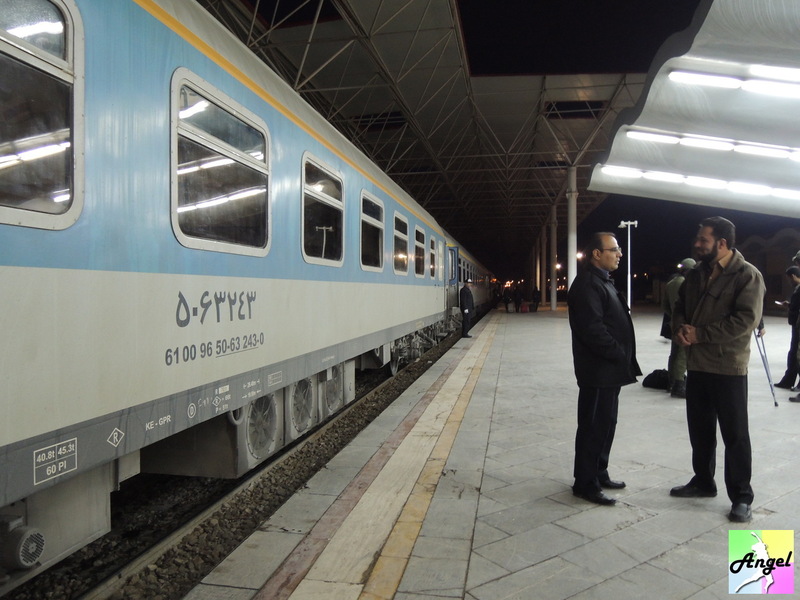 When I firstly arrived at Bandar Abbas and bought one ticket to Kerman, they gave me one 220,000 rial directly. 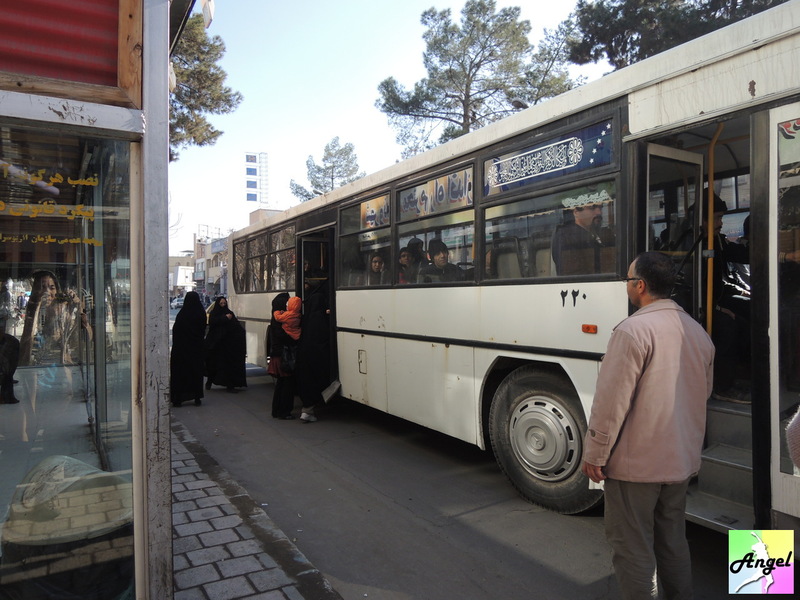 While I saw other tourists who were going to Shiraz which takes around the same hours just paying 135,000 rial. Hope you can know more about Iran for clothing, food, living and transportation.